The newly released Super Nintendo Entertainment System (SNES) Classic. - Photo Courtesy of Flickr user Ryan Smith. Remember playing Super Mario, Donkey Kong and Metroid on the Super Nintendo Entertainment System (SNES) with family and friends? Are you craving to play these games again? Not wanting to lose out on the opportunity to get an SNES Classic, I waited in line at Target and was able to get one. Playing the SNES Classic was a wonderful experience as it brought back memories from my youth. When you start the system, you see a list of games available to play. The only game you can’t play right away is “Star Fox 2.” To unlock this, you have to play the first “Star Fox” and complete the first level. The first game I tried was “Super Mario World,” followed by “Mega Man X” and the racing game “F-Zero.” Despite dying and crashing multiple times while playing these games, my excitement didn’t die down. Both are fun to play and offer a high replay value, perhaps causing you to play for hours. Games aside, the SNES Classic lacks certain amenities found on other game systems like the Playstation 4, Xbox One and Nintendo Switch. The SNES Classic doesn’t offer media streaming or online gaming. Another downside of the SNES Classic is its controllers. The cables on the SNES Classic controllers are short, about 5 feet long. It’s highly suggestive that you buy cable extenders for your controllers. Cable extenders for the SNES Classic come in packs of two and are interchangeable with the NES Classic and cost $10. Despite these small shortcomings, the SNES Classic makes up for it in value and simplicity. 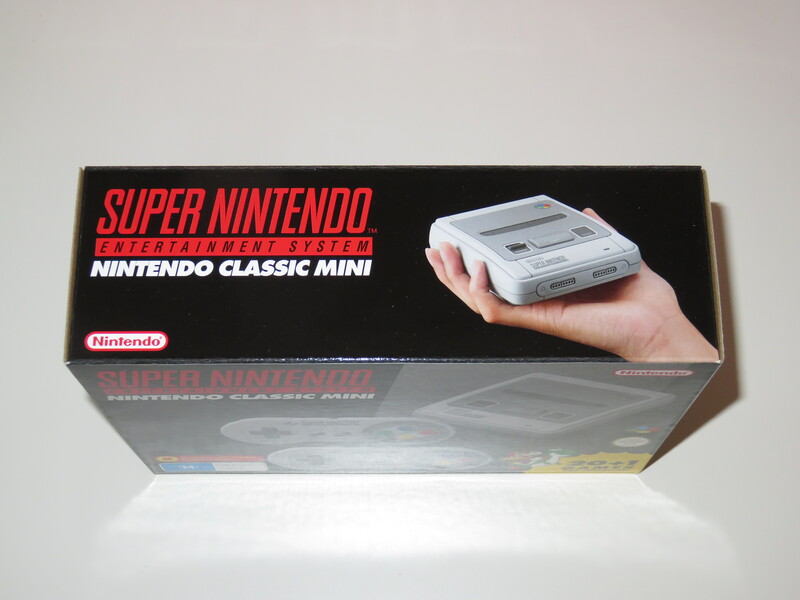 Compared to the Playstation 4, Xbox One and Nintendo Switch, all of which cost hundreds of dollars and are usually packaged with one or two games and a controller, the SNES Classic costs $80 and is packaged with 21 games and two controllers. Overall, I have no doubt the SNES Classic will be a hot item this holiday season, just like last year’s NES Classic. Demand for the SNES Classic has been strong with Best Buy, Target, Toys R’ US and other stores selling out of the product. If you’re able to get a hand on the SNES Classic, expect hours of fun with family and friends.